Properties in Far North District average 4.6 out of 5 stars. Right On The Beach! Down the lawn onto the sand! Property 7: Right On The Beach! Down the lawn onto the sand! Small but ideal. Walk to beach. Property 11: Small but ideal. Walk to beach. Eva's Cottage - in the middle of everywhere ! Property 15: Eva's Cottage - in the middle of everywhere ! This is the one, pristine kiwi bach by the water! 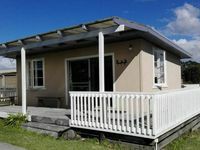 Property 19: This is the one, pristine kiwi bach by the water! The house was spotless! 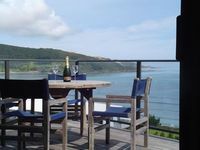 Had lots of amenities, bright and airy with fantastic views. Peggy was awesome and very accommodating. Highly recommend. Thank you Peggy for everything. Hoping to visit again next year! These hosts care about their customers, all was there ready for the visit, they made sure we were ok :) Soo close to the beach - loved it! !